Hitachi Rail, one of the world’s leading suppliers of railway engines and rolling stock, opened its new £82m facility in Newton Aycliffe in 2015, where more than 750 people are employed across a 32 acre site building upwards of 35 units each month. This includes work on the production of the new InterCity Express trains (IEP) for the East Coast Mainline and Great Western Mainline, as well as new AT200 commuter trains for Scotland. In keeping with a state-of-the art manufacturing complex, Hitachi required next generation, highly versatile and cost effective network-based IT services to meet the needs of an expanding workforce, operating in a modern, evolving production environment. The system also needed to be future proof so that it could accommodate growth, site expansion and the demands of additional technology. After a review of requirements, Advantex designed and installed an infrastructure that could support and deliver enterprise grade IT services and superfast wireless broadband connectivity site-wide. Incorporating the latest in audio-visual, Wi-Fi and network switching technology, the system was specifically engineered to provide high-grade site-wide voice and data services. A key feature included the installation of wireless technology that enables production staff and engineers to complete inspection and audits using portable hand held devices during the production of train cars. The solution Advantex created, which was delivered on time and to budget, not only meets but also exceeds the IT requirements of hundreds of staff and visitors to a site that’s currently seeing the first IEP trains produced going into passenger service on the Great Western Main Line. 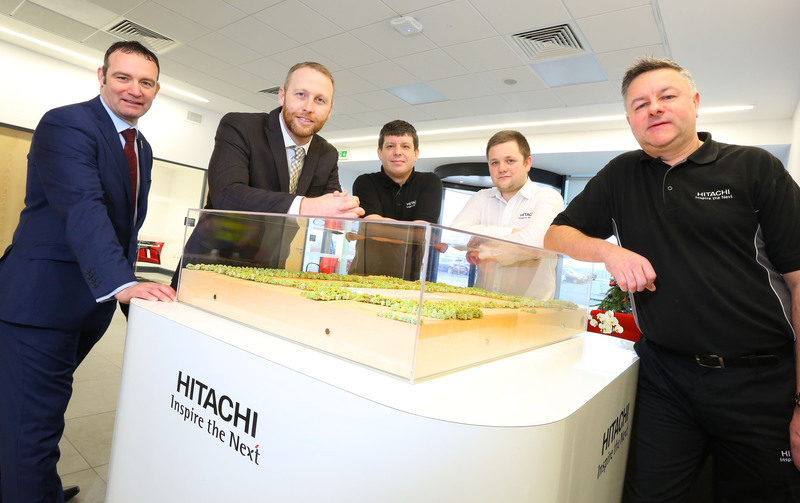 In-built scalability has also been included as part of a bespoke solution, contributing to long term performance and delivering financial savings – the system can be extended easily and upgraded as future network needs change in line with Hitachi’s expansion and development plans for its Newton Aycliffe site.